Mustang Archives - Page 2 of 46 - Muscle Cars Zone! 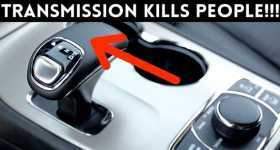 The Worst Transmissions Ever Installed In Cars! Lamborghini Aventador vs Mustang GT – Amazing Drag Race! Gymkhana TEN Trailer Alert! 5 Cars, 5 Locations & Documentary Series Called The GYMKHANA FILES! Do You Think This Is A Mustang Cobra Sound? Are You Sure? Mustang With UV Reactive Paint! Is This The Future Of Paint Jobs? 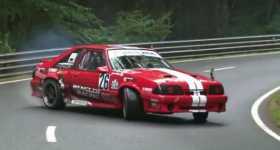 The Best Mustang Drift Racing You Have Seen! The Glorious Sound Of A 1240HP Heffner Ford GT Twin Turbo! 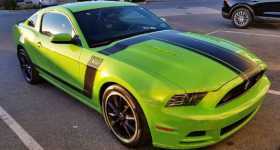 Guy Recorded A Massive Dealership Mistake that Was Done on His Mustang BOSS 302! 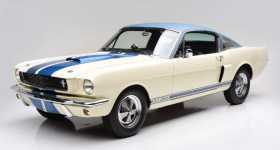 First 1966 Shelby Mustang GT350 Prototype Heads To Barret-Jackson!